Updates, contests, other news and content from rockmycommute. 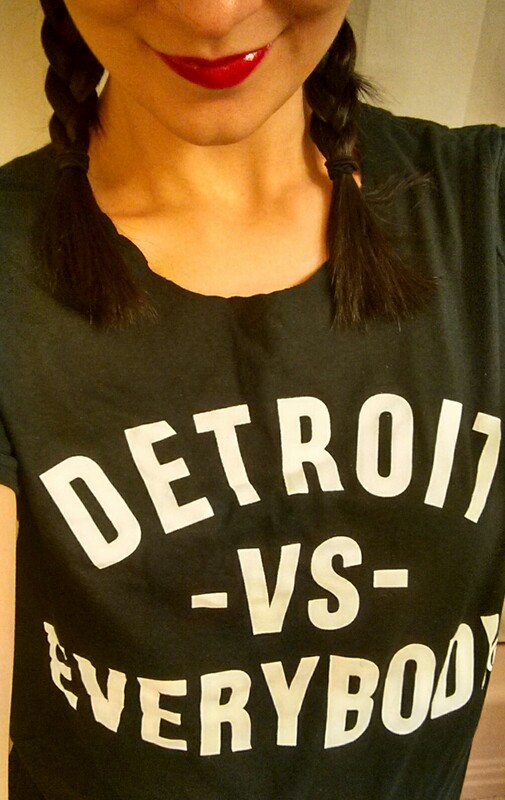 So I know I owe you a music review or two (I have also been slacking at the giveaways and playlists) – but I was distracted this past weekend with a trip to the D, where I got this great shirt and a suggestion for a future review. In the meantime, are you listening to Beck’s new single, “Dreams”? It was released in June, but just hit radio play in the past 2 weeks. Funky and techy and edgy and fun – it is exactly what you want, and even better than you think it would be. I will have something for you soon – I actually have several great CDs and a few new artists in the mix right now. I just need to pick something and start writing! Have a great week.